Sekhar Kammula’s Fidaa benefits from a talented cast and suffers from some underwritten characters and lazy plot manipulation. 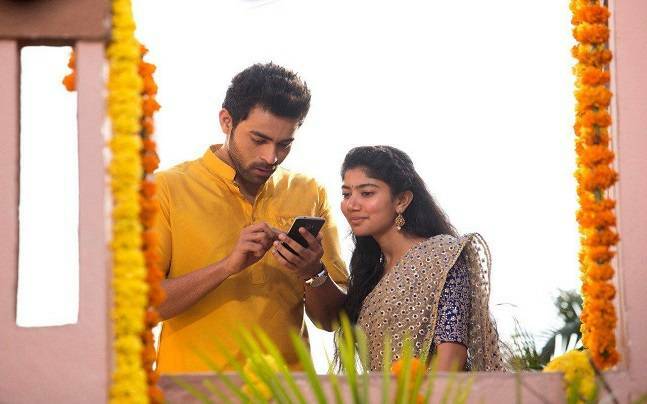 Fidaa bills itself as a love-hate-love story, but I felt it was more about growing up and knowing yourself, identifying where you will and won’t compromise. 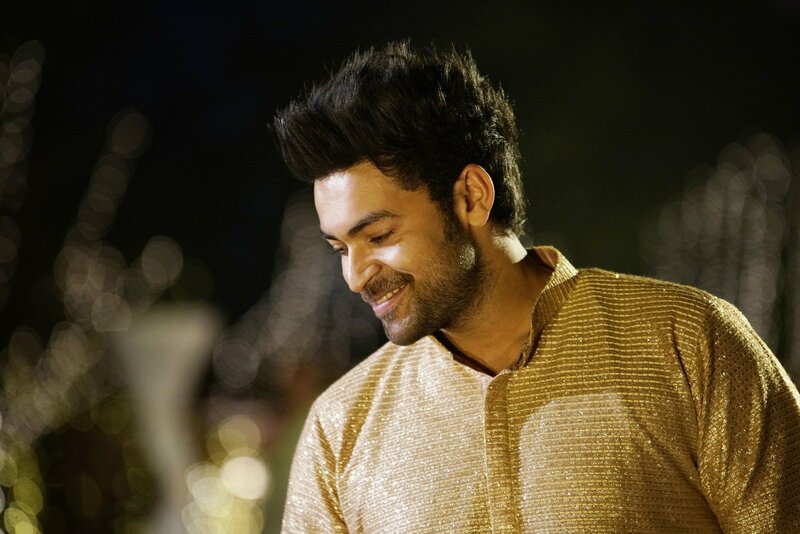 Medical student Varun (Varun Tej) lives in Texas with his older brother Raja (Raja Chembolu) and younger brother Bujji. One morning they all decide Raja should get married, and minutes later he chooses Renuka (Sharanya Pradeep) on a matrimonial site. Raja goes to India to meet her, but waits for Varun to come and give the final OK. Renu’s younger sister Bhanumathi (Sai Pallavi) is naturally curious and concerned about the man her sister will marry so goes about sussing out her prospective in-laws. She and Varun fall for each other but where Raja and Renuka are easy going to the point of invisibility, Varun wants to stay in the USA and Bhanu cannot conceive of leaving home. They break up without really breaking up or talking about it, and unhappily go on with their lives. But then Renu falls pregnant and develops a mystery syndrome that lasts just long enough for Bhanu to have to go to the USA. Considering the number of co-directors credited I half expected a lack of cohesion in the direction but not so. Visually this is a beautifully composed film, making the most of natural looking light and locations. Unfortunately the writing relies on half-baked contrivances to move the action along. The characters are not particularly well developed either. 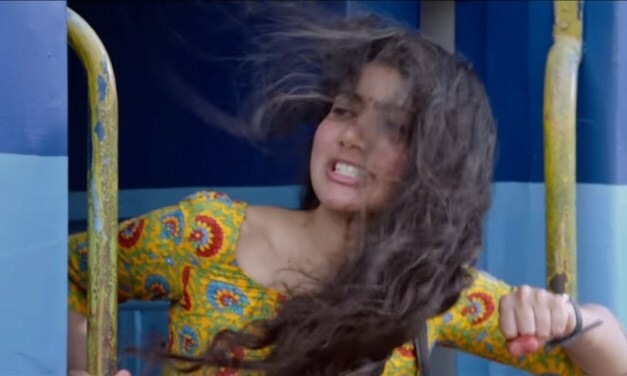 Sai Pallavi should win all the awards for her performance as Bhanumathi. The line between uninhibited and unhinged is tricky to negotiate, but she rocks both the energy and subtlety required. What could have been a mere hair swishing manic pixie dream girl becomes a delightfully quirky and real young lady. I guessed from the audience reaction that a lot of her dialogue is in a regional dialect and there was much cheering at some of her one liners. Bhanu is doing her undergrad degree in Ag Science, and demonstrates this by driving a tractor around one field, just one muddy field, and pointing at different grains. I’d never considered the pros and cons of wearing a half-saree while driving a tractor, but here it looked stylish and appropriate. It’s easy to see when Bhanu is putting on an act but never easy to see that any part of Bhanu is a performance. Her reactions seem spontaneous and her eyes look like there is somebody home. On a shallow note, I also loved that she has minimal makeup on that expressive face, spots be damned. It’s a departure for a mainstream Telugu film heroine. And she can really dance. Varun Tej is tall, dorky, and may never get all that hair product out. Ever. Not even vigorous frolicking in the rain could flatten that bristly up do. Varun the character is kind of bland and I never found his dreams or change of heart convincing. At first I put that down to his acting but when I considered Bhanu too, I realised that neither character had much explicit motivation or development. The film relies on the actors to make the situations engaging. Varun was just overshadowed a little, playing the slow steady counterpart to the firecracker Bhanu. He was at his most lively in scenes with her, and I liked their rapport. The fight scene seemed out of character, but Bhanu was a huge film fan so I guess that was Varun showing support in a kickarse language that spoke to her. He was less successful in the angry and emotional post breakup phase when Varun keeps taking stupid advice from a comedy sidekick. He’s lucky he inherited the smouldery Mega Eye gene for the crying scenes because it distracted me from wanting to slap him for excessive wallowing. He certainly missed out on the Mega Dance gene…or at least, he got that one from his father not his uncle. The plot used any old excuse in pivotal moments. Renuka required 3 months of total bed rest, but then was well enough for Bhanu to leave on a roadtrip for a week (judging by the outfit changes), and then turned up heavily pregnant at home in Banswada for a wedding. You or anyone else with a pen and a post-it note could easily write six reasons that were more believable. The roadtrip was beautiful and I’m sure everyone had fun with the drone shots, but if you’re in a hurry perhaps…a plane? Investment in building up characters and relationships was notably lacking. Some of the side characters have no reason to exist other than being a sidekick or whatever. There is also a fair amount of “do as I say, not as I do” advice. It’s disappointing because there’s a whole stack of Kammula films that show he is a keen and empathetic interpreter of human behaviour. This looked like he either couldn’t be bothered or perhaps gave way to an improvised approach that fell over. Satyam Rajesh’s Ali is one character who added no value to the proceedings. And the kid who played Bujji did nothing to diminish my dislike of high pitched overly peppy kid actors. Of the supporting actors I most enjoyed Sai Chand and Sharanya Pradeep as Bhanu’s dad and sister. I still get irritated when people in possession of all their faculties and full mobility sit and wait for their daughter to come and give them their daily essential medication, but whatever. He was a caring and quite progressive father in many respects. Renu had a masters in psych but there is no indication she will ever get to use it, or wanted to. Another why???? element in the script. But Sharanya Pradeep was calm and lovely, playing Renuka with a maternal solidity. Shakthi Kanth Karthick’s songs were diverse enough in style that they meshed with the key scenes rather than being a musical interruption. Vachinde was suitably flirty and hectic, setting the scene perfectly. I was pleased to see both the dialogues and songs were subtitled, although the quality of the English subs was atrocious. I hope that is reviewed before a DVD release. Unless there really is a w in hellow. And I’m pretty sure Fidaa doesn’t directly translate to “flat”. Fidaa is well worth seeing for the charm of the actors and the beautiful visuals. Just prepare to suspend your disbelief a bit. On the bright side, there were no CGI talking lizards! This entry was posted in Tollywood and tagged Sai Pallavi, Sekhar Kammula, Shakthi Kanth Karthick, Sharanya Pradeep, Telugu, Varun Tej. Bookmark the permalink. But from your review it looks like it is worth seeing for Sai Pallavi and her on screen sister alone! Also, haha! Maybe Hellow was the subtitler doing the Telangana accent. Fida if I understand is really Hindi/urdu and translates to “mad” or “passionate”. I can’t imagine where Flat comes in. But which movie has the CGI talking lizard!! I only remember the talking dog from Godavari. Review on the lines I expected from this blog – the reason I started following and liked this blog. Perhaps, the only one non-positive review I read online for this movie. In fact, I was telling my friends, “Fidaa” was a movie in ages (in last 4-5 years) for which I could see only positive reviews. Even Bahaubali (1 & 2) got some negative reviews. Now, of course, with your post gave me an exception. I am yet to watch the movie as personally I am not in a position to spare time for 3 hours in a movie theater and also not a big fan of Sekhar, though he’s a different director and like his pre-Happy Days movies in parts. I agree with “ideallaedi”‘s views in above comment. “Flat” is a colloquial term used similar to “Fida” to mean “I am impressed” or “I fell for you”. “Fida” is also used in similar meaning rather than the literary meaning of “passionate”. Example 1: On seeing that beautiful girl, I became ‘flat’. Example 2: On watching Chiranjeevi’s dance in that song, I became ‘flat’. That’s surprising you say you’ve seen glowing reviews. Most reviews I have now read (I never read them until after I’ve written my first draft) are mixed and many seem to have similar reactions. Although since it seems that all Indian film critics give every single film 3.5 out of 5, it’s sometimes hard to tell what the issue might be 🙂 As I said to ideallaedi, the literal one word translation of Fidaa to Flat in the subtitles didn’t convey any of the actual meaning. So for audiences who understand zero Telugu the translations should ideally be more interpretive. Even the conversion from English dialogue to English subtitle was pretty bad. I should have been clear in my comment – When I said reviews, it’s about the reactions and mouth-talk reviews of common cine-goers on FB, Twitter and in person – rather than the critics reviews on Telugu movie websites or news sites – I hardly read/follow such reviews. Ok, “flat” was used in sub-titles and not in the movie – then, I agree it’s a bad translation. Poor quality of sub-titles is an ongoing issue. Sometimes on YouTube, I casually look for them to have a hearty laugh. BTW, “bowled over” is more closer and correct than “I fell for you”. The thing is, despite the issues it is a really appealing film in that the people look and sound fairly realistic and their problems are quite relatable. So I think that probably wins some people over and they’re happy to see something that is absolutely Telugu but not too mass.